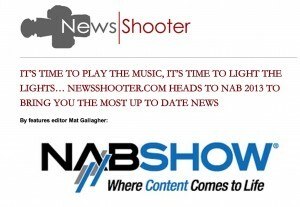 I’m part of the ten-member team from Newsshooter.com that will be covering all the new gear at NAB 2013, the mega-show of video equipment at the National Association of Broadcasters convention in Las Vegas. Dan Chung, a Beijing-based photojournalist who came up through Reuters and the Guardian and now does network news along with Guardian and freelance work, has put together a global all-pro squad to cover one of the world’s biggest conventions. Biggest period. 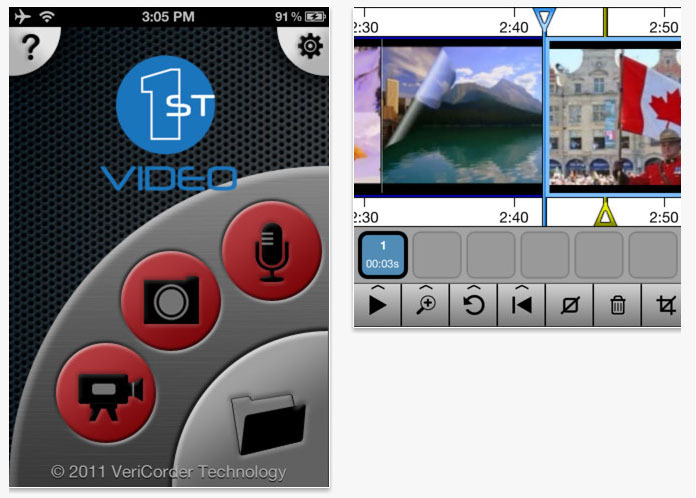 Not just for TV and video. We’re all pros who use this stuff daily. We’ll look at the new gear with a critical eye. Newsshooter.com is the new name of DSLRnewsshooter.com and indicates the new and broader scope of coverage. We’ll also be streaming live shows during the conference, including a panel on newspapers and video on April 10th at 5pm eastern time. Yeah, I’m on that one. Check it all out starting Monday the 8th on Newsshooter, as well as here and on my twitter feed @newspapervideo. Hurricane Andrew left our lives in shambles. 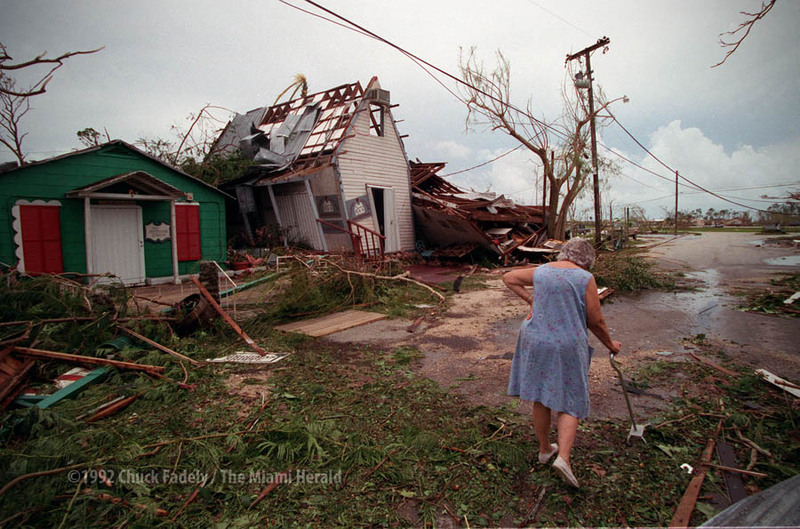 A number of photographers still at the Miami Herald covered 1992’s Hurricane Andrew, one of only three Category 5 storms to hit the U.S. The storm devastated South Florida and its impact is still evident in many ways. #10: Miami Herald’s Hurricane Andrew Coverage from The Society for News Design on Vimeo. I wonder how we’d do today? Here’s what my life looks like. Not too shabby. If only newspapers paid like they used to…..
World Press Photo multimedia winning story "Afrikaner Blood"
The World Press Photo Multimedia Contest awards were announced today, judged from 300 entries by a panel of respectable folk, including Vincent Laforet, (ex of the New York Times,) Claudine Boeglin, (of the Thompson Reuters Foundation,) Jessica Dimmock, (winner of Magnum’s Inge Morath Award,) Keith Jenkins, (ex of the Washington Post and now senior multimedia guy at NPR,) Wing Jingchun, ( head of visual center for the Southern Metropolis Daily, one of China’s leading newspapers,) as well as Iatã Cannabrava, Poul Madsen, and Anna Zekria. This is not like the Pulitzer Prizes, where the judges may not have any expertise in the category they’re judging. These guys actually have some cred. 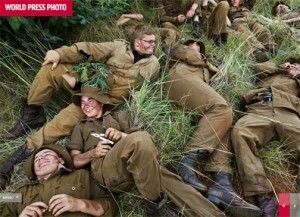 “DUTCH PRODUCTION ‘AFRIKANER BLOOD’ WINS FIRST PRIZE IN MULTIMEDIA CONTEST – The international jury of the 2nd World Press Photo Multimedia Contest has given the First Prize to the production ‘Afrikaner Blood’ by Elles van Gelderen and Ilvy Njiokiktjien from the Netherlands. The multimedia production follows young white Afrikaner teenagers in South Africa who attend a holiday camp set up to teach them self-defense and how to combat a perceived black enemy. The judging was conducted at the World Press Photo office, where the jury viewed all the entries and discussed their merits over a period of four days. A total of 287 multimedia productions from 48 countries were entered in the contest, organized for the second time this year. Although they’re working hard to change the perception, World Press awards have always been about the story – the biggest stories worldwide. Not necessarily about the storytelling. And when they started the multimedia category last year, they didn’t stray far from their still photo comfort zone. 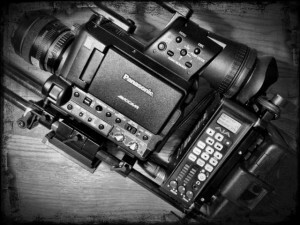 They took the “multimedia” term literally, requiring in the rules that still photography be combined with other media. “Each multimedia entry must include professional still photography in combination with (but not limited to) audio and visual elements such as video, animation, graphics, illustrations, sound and text.” So no video-only entries. Hey, it’s their sandbox, they make the rules. If one were to include video only, where do you draw the lines? There are lots of other TV and film contests out there. But that requirement for still photos can make for some awkward moments in stories. Like this year’s winner, which is a mishmash of stills and video, but is none the less a compelling story. ‘Afrikaner Blood’ by Elles van Gelderen and Ilvy Njiokiktjien from the Netherlands was chosen as the best multimedia piece worldwide after days of judging by some of the best in the business. I want to talk about why such a technically flawed piece can still win a contest like this. Of course, it’s the story. But it’s more than that. It goes beyond the wow factor in finding a good story. It’s about looking at a story with fresh eyes. All three of these are different looks at things we’ve seen before. These pieces all have an innocence to the way the stories were done – none of them are slick nor particularly well-produced. But in all three of these stories you can see the glint of obsession in the author’s eyes. Innocent obsession, focusing on the story with the eyes of a newborn above all else, is an amazing and powerful thing to come across in a story. The winning entry, about racist whites in South Africa, makes your skin crawl with disgust at the subjects, so it succeeds on the first and most important level: engagement. But the actual storytelling has glaring problems with the way still photos are dropped into the video seemingly at random, breaking the flow and bringing it to a halt. And it has perhaps the worst beginning of any prize-winning piece I’ve seen, though it gets better after 1:15 into it. It finally gets compelling three minutes into it. Vincent Laforet, the jury chair, praises the piece in a British Journal of Photography story, noting the “squirm factor,” and calling it not only powerful but nuanced. I don’t think I’d have given it top prize but that “squirm factor,” seeing through the eyes of an innocent for the first time, is an amazingly powerful way to tell a story. 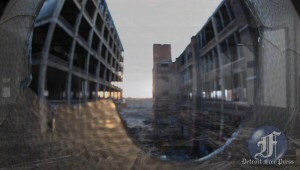 The second-place piece by Maisie Crow, Half-Lives: The Chernobyl Workers Now is much better at basic storytelling and successfully combines killer still images (that are prize-winning quality by themselves) with video. It’s a great piece. Technically well done and it’s obvious the photographer dived deep into the story and worked it hard. But the plodding string notes used to set the mood are a little like the overall impact of the piece: monotone and drab. In almost any story, you need peaks and troughs, comic relief along with tragedy. While there are some great moments in here, such as when the wife is shocked at her husband’s revelations, the story doesn’t build and it doesn’t crescendo – which, I suppose, is entirely appropriate for a story about the lingering effects of radiation. Like the subjects, this story leaves us with an uncertain future. I like this story very much but I would agree that it’s not a world-beating piece. It’s too quiet and introspective. But again, with the innocence of a child struggling to understand, it leaves one feeling like a first-time visitor might feel to these radiation-soaked towns, meeting people who know they will die but who are unwilling to flee. The third-place piece by Jim Lo Scalzo, America’s Dead Sea, is a Kodachrome-colored look at a drying lake in California, complete with dead fish, dead trees, and dead trailers. The pretty pictures make you forget to wrinkle your nose at the fish. It’s a well-done piece, sort of in the style of California is a Place, but without the nuanced storytelling and story arc that Zackary Canepari & Drea Cooper bring to the California is a Place stories. But again, it’s a prize-winner because it looks at the subject with fresh eyes. So the lesson to take away from this multimedia contest is this: don’t get bored with your story. Don’t lose your innocence. Always look at your story with the wonder and delight of a child seeing something for the first time. America’s Dead Sea from Jim Lo Scalzo on Vimeo. Its time to bring this blog out of hibernation. It’s been a tough year in newspaper land and I’ve been putting my efforts toward my career and limiting my social media to Twitter. I’m going to try to balance high-end subjects appropriate for freelancers with mobile and small-footprint techniques suitable for MMJ’s. I’m posting this from mobile and will see how it works. Tuesday night, January 11, on the eve of the one-year anniversary of the earthquake in Haiti, a documentary by the staff of the Miami Herald will air nationwide on PBS. “Nou Bouke,” which means “we’re tired” in Creole, is a look at the earthquake and its aftermath, along with the tumultuous history of Haiti. The hour-long documentary was produced in-house at the Miami Herald by videographer Jose Iglesias and independent film producer Joe Cardona, hired for this project, along with Herald journalist Nancy San Martin, who served as executive producer. It was done with the assistance of local PBS affiliate WPBT, but was independently produced and delivered as a finished product. This took a year full-time for Iglesias to produce. He landed in Port au Prince shortly after the quake and spent days sleeping on the ground as it shook from aftershocks, listening to the wails and prayers of the shocked survivors. He went back time and again, at first producing daily stories, then, as the idea for the film took root, looking for more in-depth pieces. I’m really proud of our commitment at the Miami Herald to produce this film and I hope it is a trend-setter for talented journalists to break the boundaries of the printed page and parochial web sites. It’s a powerful piece. Other newspapers are also starting to explore the documentary format. really for Democrat Andrew Cuomo and actually hates Lazio. about his fundraiser Andrew Farkas.